Sleep while listening to your favorite sounds! Sound Oasis Amplified Stereo Pillow Speakers allow you to enjoy your favorite music or sounds in optimal relaxation and comfort. With built-in amplification and two high fidelity, ultra-thin stereo speakers, the high volume sound output is perfect for surrounding one’s head with music and sound for enhanced therapy or privacy. Ideal for help with sleep or managing tinnitus. What's the difference between the SP-101 and PA-100? 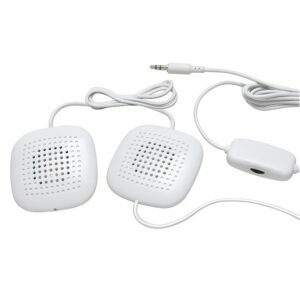 The PA-100 amplified pillow speakers contain an internal amplifier which increases the sound volume. This makes the PA-100 ideal for use with many different electronic sound players. 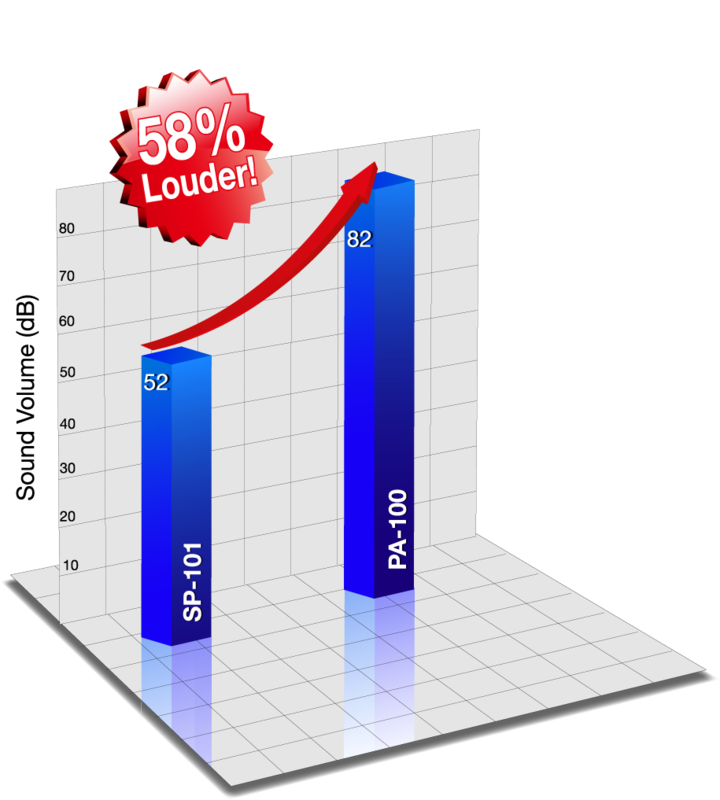 The PA-100 pillow speakers provide about 60% more volume output when tested with our own S-550 sound machine. Using pillow speakers with your nature sound machine or white noise machine is a great way to fall asleep without affecting your partner's sleep. 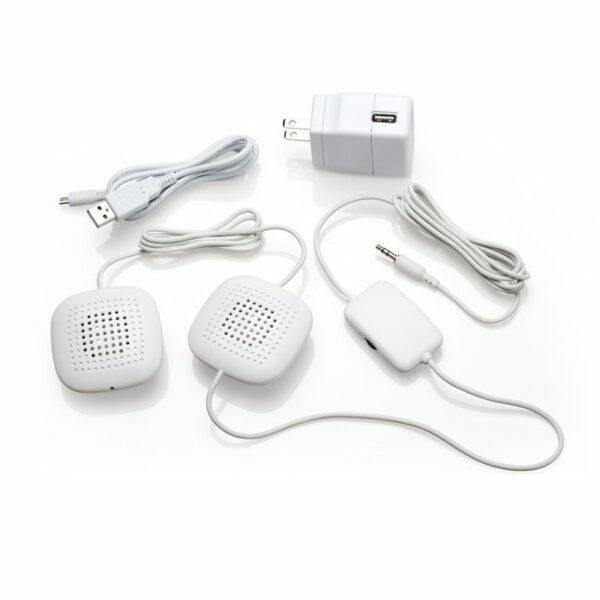 The sound source is right beside your ears for maximum effect and the best white noise machine experience. This approach is also ideal for masking tinnitus since you can adjust the sound output to the ideal level allowing you to get the most effective tinnitus relief. Two ultra-thin amplified stereo speakers fits under your pillow. USB powered, includes USB cable and US power adapter. Highly Recommended. I have tinnitus and use a sound app and these speakers to help me get to sleep. These were recommended by my audiologist and work well. Exceptional tone quality, and very good amplification-- not the weak sound you get from other pillow speakers.